The group was made up of 11 people who write for six blogs that specialize mainly in adventure-, nature- and family-oriented tourism and are ranked among the best on the planet. The Public Relations office of the Riviera Nayarit Convention and Visitors Bureau (CVB) and the Grupo Marival arranged a FAM trip for a select group of bloggers from the United States and Canada for what they called a Blog Trip Party. “The people who were here are among the Top 500 thousand bloggers in the world. Their ability to transmit experiences and attract tourists to the destinations they visit will be very useful now the winter season is coming up,” said Marc Murphy, Managing Director of the Riviera Nayarit CVB. This effort, conducted together with Grupo Marival, was intended to generate original content which will broadcast the destination’s attractions as well as influence the decisions on where to purchase the next vacation. The group was made up of 11 people who write for six blogs specializing mostly in adventure-, nature- and family-oriented tourism. Thebarefootnomad.com has over 79 thousand visits to its site and over 27 thousand followers on Twitter. Travelwithbender.com has 119 thousand visitors and over 28 thousand followers on Twitter. Blueskytraveler.com has over 85 thousand visitors and 160 thousand followers of Facebook. The other three blogs represented on the trip were Annaeverywhere.com, Shershegoes.com and Darlingescapes.com. 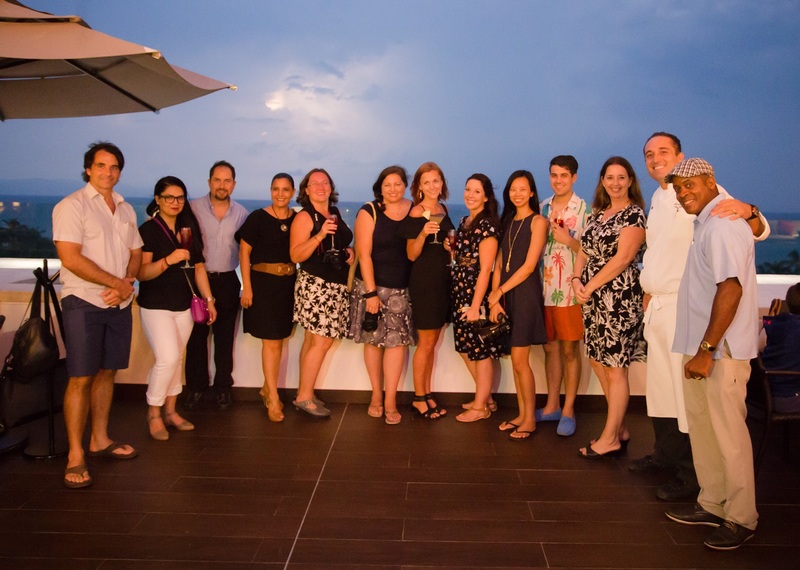 During their stay in the Riviera Nayarit they enjoyed dinners and spa treatments at the Marival hotels. They also visited Entre Amigos in San Pancho, were treated to a surf lesson in Sayulita and left for the Islas Marietas from the Marina Riviera Nayarit in La Cruz de Huanacaxtle.